The City of Danbury Police Department has launched a recruitment campaign with the release of application dates, informational sessions and a new action-packed and humor-filled hiring video that takes a light-hearted approach to give potential applicants a glimpse at the hard work that goes into joining the Danbury police force and serving the community. The video was produced by RMedia, a Danbury-based, full-service video production company owned and operated by husband and wife duo Renato and Alicia Ghio. “It was an amazing experience working with the DPD & getting to meet so many of our dedicated officers. Thank you to Lt. Daniello & Chief Ridenhour for having us be a part of this recruitment campaign,” said Renato Ghio. The video pokes fun at low-budget informational videos, and highlights the department special forces with Hollywood-like action shots, while giving viewers an in depth look at the multifaceted aspects of a police officer’s life in the force. 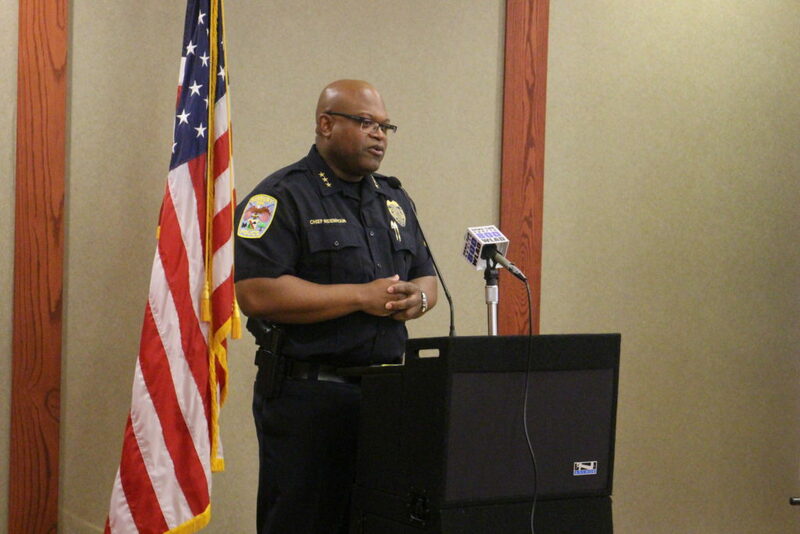 It also displays Chief Ridenhour’s desire to fill some of the 12 vacancies with candidates that reflect the diversity in the community, featuring two bilingual Portuguese- and Spanish-speaking police officers inspiring potential bilingual recruits to join them. Applications will be accepted starting June 12 on POLICEAPP.com. You must have a valid Complete Health & Injury Prevention, Inc. (C.H.I.P.) card to apply. Police applicants who take the Physical Ability Assessment with C.H.I.P. work with a central testing service that not only caters to their unique assessment needs, but also helps to expand their potential pool of applicants. Passing the Physical Ability Assessment is a requirement for becoming a police officer in the State of Connecticut. The Physical Ability Assessment, a standardized test used by all Connecticut Police Departments, follows standards set forth by the Police Officer Standards and Training Council of the State of Connecticut. Applicants must meet the standard for all four components to pass the assessment. When an applicant successfully completes the physical ability test, he or she will receive a C.H.I.P. Card. The C.H.I.P. Card is valid for six months from the original assessment date and allows a recruit to apply for a job with any participating C.H.I.P. police department, without taking the Physical Ability Assessment again. The Danbury Police department application process will close on July 31. All communications must go through PoliceApp. Information regarding the application and hiring process will be updated on the City of Danbury Police Department website: www.danbury-ct.gov/police and on www.policeapp.com. Please check the C.H.I.P. website at www.chip-inc.com for more information. The Danbury Police Department’s Recruitment Video will also have the application requirements. The video is located on the Danbury Police Department Facebook Page https://www.facebook.com/DanburyPolice/ and YouTube Channel: https://youtu.be/Hoy5a2V2tU4.